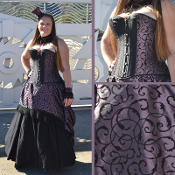 Our Overbust style corset in an elegant Velvet Embossed Taffetta. 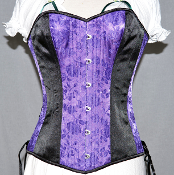 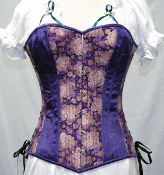 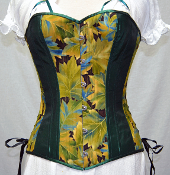 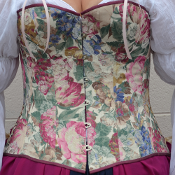 Our overbust style corset in a Floral Tapestry Fabric. 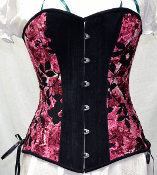 Black Rose Slik Overbust Corset, black silk jacquard with a subtle embossed rose pattern on the fabric. 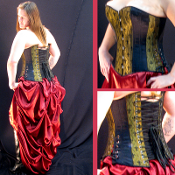 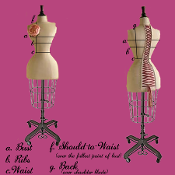 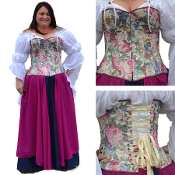 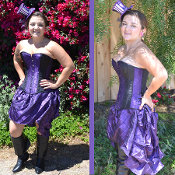 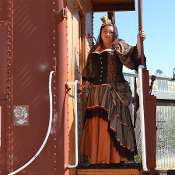 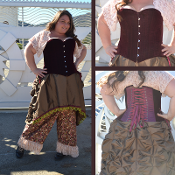 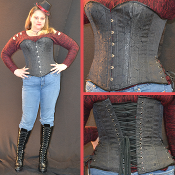 Red taffetta with self embroidered fabric roses wrap the entirety of this corset. 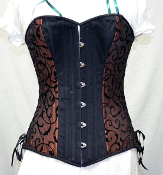 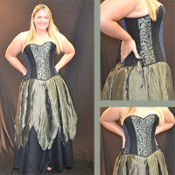 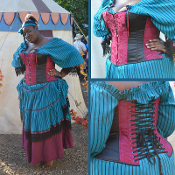 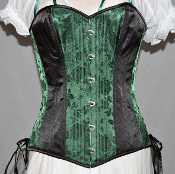 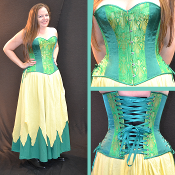 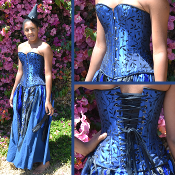 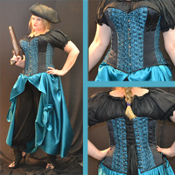 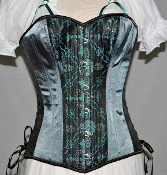 Teal taffetta with self embroidered fabric roses wrap the entirety of this corset.